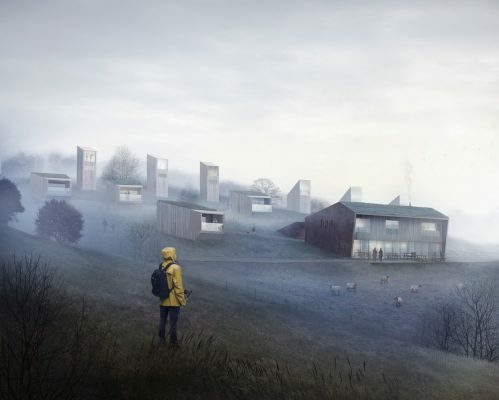 Breitenbach Landscape Hotel will have a prominent role linking the hotel activity to the site and local traditions. At the same time, it will gather the best of architecture, design, spa facilities and food culture in the region. 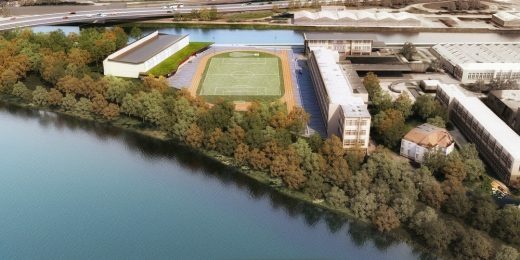 It will connect the local character and landscape with new characteristic forms and create a specific architectural expression. 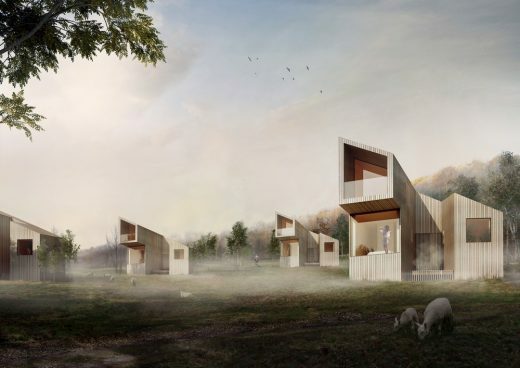 The hotel will offer an unusual, comfortable experience in the middle of the French countryside and will answer to the visitors’ desire for quality. 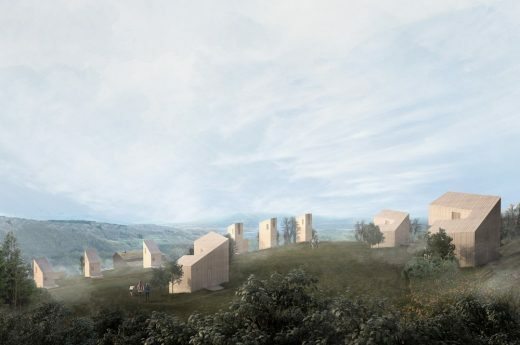 Located on a French hillside surrounded by nature, the project will blend within the landscape. Rooms are organized in separated Norwegian inspired cabins and offer luxury and privacy to the customers. 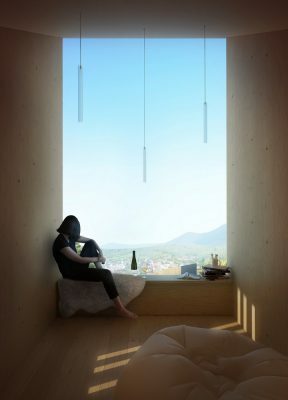 They will be designed as comfortable units with stunning views to the valley and will have a material palette referring to the Nordic temperament. 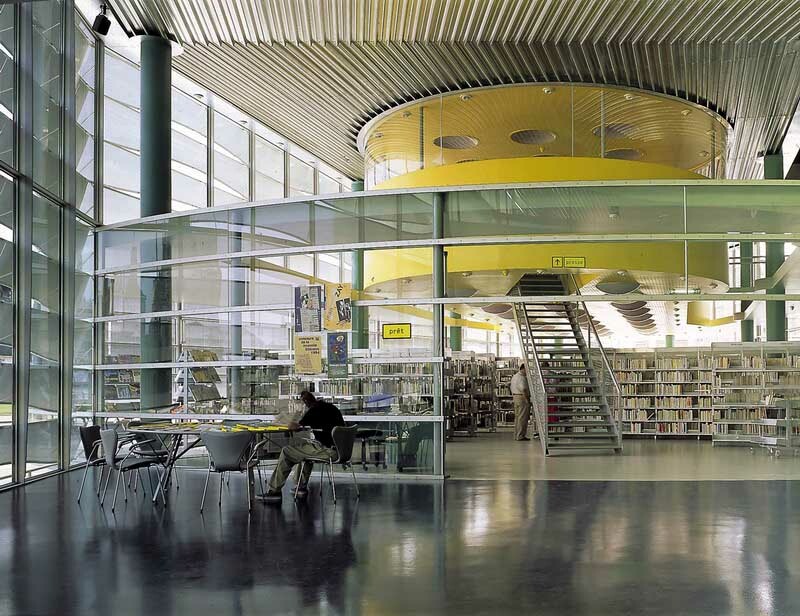 Natural and light materials will be used, mainly new and recycled wood with a combination of large glass opening. A combination of different amenities will create an exclusive experience of the Breitenbach landscape hotel. The Restaurant and Spa in the main building will be private features for the customers but will be a part of the open scenery towards the landscape. Customers will have an opportunity to go through the culinary experiences related to the region and the landscape in connection to both tradition and innovation. 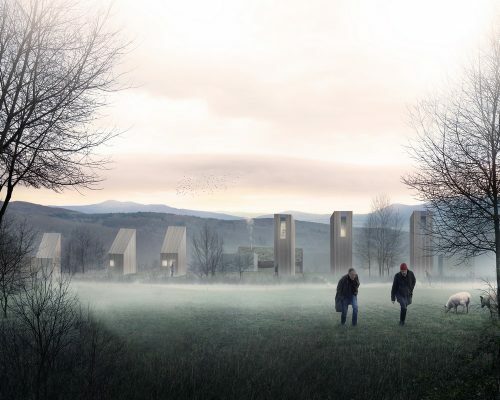 Breitenbach landscape hotel will also look at art and culture as a part of strategy to enhance the region cultural practices. Visitors will have the possibility to take part of the local culture and art through some areas dedicated to exhibition and local knowledge.